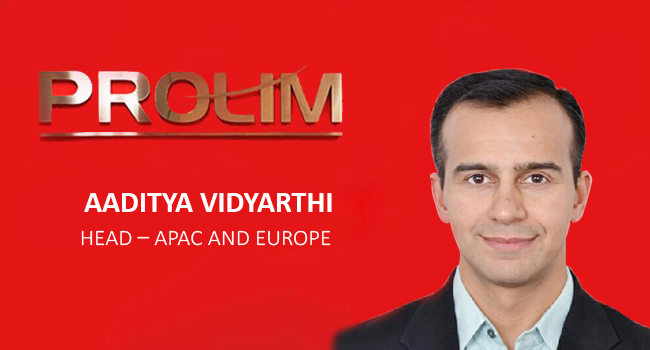 Bangalore, India May 25, 2018: PROLIM Global Corporation is pleased to announce the addition of Aaditya Vidyarthi as Head of APAC and Europe. He is responsible for the overall management and strategic direction of PROLIM’s business in these two key geographies, effective immediately. Aaditya is experienced in several technology domains, including CAD, CAM, Cloud computing, ALM, PLM, and ERP. He has led large consulting engagements. Aaditya is an accomplished business leader, motivator, and mentor in Multinational PLM and IT Organizations in India. He is an expert in challenger sales, enterprise consultative sales, business conversations, resource optimization, value creation, and competitive differentiation. Aaditya’s professional success is strongly based in his unique formula: “Never lost a Competitive Opportunity, never won it on the Price.” He strongly believes in bringing a unique insight to a business opportunity, based on competitive differentiators. Aaditya has a Bachelor of Engineering degree and Post Graduate degree in Business Management from SP Jain Institute, Mumbai, India. 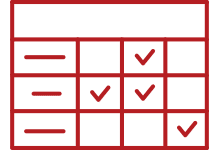 PROLIM is a leading provider of end-to-end IT PLM Solutions, and Engineering Services, and Solutions for Global 1000 companies. 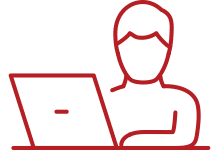 They understand business as much as technology and help their customers improve their profitability and efficiency by providing high-value technology consulting, staffing, and project management outsourcing services.